We've all experienced miscommunications. They can range from hilarious to disastrous. 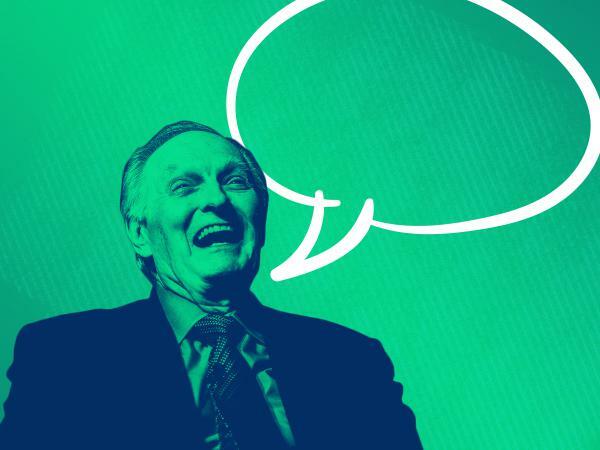 The actor Alan Alda - yes, that Alan Alda from "M*A*S*H" and "The West Wing" and "30 Rock" - wants to help us all communicate better. For more HIDDEN BRAIN, follow the show on Facebook, Twitter and Instagram and listen for my stories on your local public radio station. If you liked this show, please communicate it to a friend. Tell people about HIDDEN BRAIN and ask them to subscribe to our show. I'm Shankar Vedantam, and this is NPR. In a few weeks, just in time for Valentine's Day, HIDDEN BRAIN is going to turn its attention to another way we communicate with one another and relate to our closest partners. PETER COOK: (As The Impressive Clergyman) Marriage - marriage is what brings us together today. VEDANTAM: Whether you're coupled up or not, this episode about long-term relationships will give you new insight about your love life. ELI FINKEL: I think if we think about what we're really asking of our marriages these days in terms of the, you know, ambition of these expectations, then we realize that if we're too tired or lazy to invest in the quality of the relationship, that, of course, we're not going to be able to make the summit attempt. VEDANTAM: Ahead of this episode, we have a request. We're going to have a question-and-answer session on npr.org with psychologist and marriage expert Eli Finkel. What questions do you have about your own relationship? Are you going through a rough patch, dissatisfied without knowing why? Maybe you just want some advice on how to communicate better. Email us your questions at hiddenbrain@npr.org. That's hiddenbrain - one word - @npr.org. Remember to put the word marriage in the subject line. Transcript provided by NPR, Copyright NPR.